A Flint, Michigan, hospital says it was the victim of a “cyber-attack,” just one day after the Anonymous hacking group threatened action over the city’s water crisis. The hospital confirmed that the attack happened on January 21, although it provided few details. “Hurley Medical Center has IT systems in place, which aid in detecting a virus or cyber attack,” hospital spokeswoman Ilene Cantor told MLive. Anonymous has not taken credit for the attack, but did warn that it will take action against those responsible for the water crisis in a YouTube video. “We must remind the city officials of Flint that we do not forget and we do not forgive,” Anonymous said in the video. 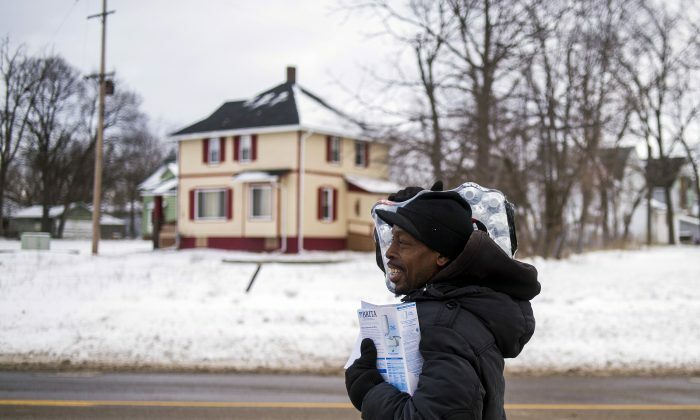 The crisis has left water in the city tainted with lead, with many blaming Governor Rick Snyder. “Because what Governor Snyder will soon learn is that we do not forgive. We do not forget. The people responsible for this crises will be held accountable. Every wrongdoing will be rectified,” Anonymous said.